Librarians from Seattle Public Schools are gathering in Olympia on Tuesday to ask state lawmakers to allow the school district to raise more money in local levies and stave off planned reductions. South Seattle College is offering to cover two quarters of tuition for former students from the Art Institute of Seattle, which closed abruptly earlier this month. South Seattle joins City University and Seattle Pacific University in offering financial assistance to former Art Institute students. Many school districts are planning substantial budget cuts for the fall, including Seattle, Olympia and Tacoma. At the same time, they're urging state lawmakers to raise the limit on levies so they can collect more in local property taxes. Democratic state senators had pushed to amend the Washington constitution to allow school bonds to pass with a simple majority, but they failed to win votes from two-thirds of members as required. Parents of children with dyslexia celebrated legislation that passed in Washington last year requiring school districts to screen all young children. Dyslexia is a learning disability that can make it hard to decode words. There's growing understanding that out-of-school suspensions can be damaging to students. This Thursday, a group will hold a one-day training on an alternative approach called restorative justice. The state Supreme Court has sided with a woman who was permanently barred from working in child care because of a criminal conviction. Lawmakers continue to wrestle with the new education-funding system they put in place in 2017, in which the Legislature increased the state property tax as a way to satisfy the long-running McCleary school-finance lawsuit. The approach limited how much districts can raise through local levies. The Seattle school district appears to have won enough support from voters for both of its local tax measures in yesterday’s election. The first vote count showed about two-thirds of voters approving the capital levy and the operations levy. About a third of students in the Seattle school district qualify for subsidized meals. School has been closed so far this week as well as part of last week due to the snow, and that means some kids may not be getting as much to eat as they usually would. Voters have until Tuesday, Feb. 12, to return their ballots in an election that's important to many Washington school districts. But some school districts are reckoning with the possibility of not winning enough voter approval for their bond measures, and they’ve turned to the state Legislature to try to lower the threshold required for passage. There's been a big demographic shift in Skagit Valley school districts in the past decade. For example, these days about 43 percent of students in t­he Burlington-Edison School District are Latino, up from 27 percent a decade ago. But while the student population has changed, the teaching staff largely has not. Mandy Manning is using her position as the 2018 National Teacher of the Year to draw attention to the detention of thousands of migrant children in the United States. Youth and Education reporter Ashley Gross discusses teacher's anticipated commuting troubles with Morning Edition host Kirsten Kendrick. Transportation officials have several recommendations to help commuters survive the three-week period between closure of the Alaskan Way Viaduct and opening of Seattle's new tunnel. Among them: work from home or flex your schedule. Neither is an option for Charrie Gibson. The West Seattle resident teaches fourth grade at Cascadia Elementary School in North Seattle. Gov. Jay Inslee said his budget proposal includes investments in the state's early learning system to help make sure kids are ready for school. But some advocacy groups said it doesn't go far enough. There's been a lot of debate nationally and locally about how to prevent school shootings like the one that left 17 people dead in Parkland, Florida, last February. Republican state Rep. Jim Walsh from Aberdeen said one important prevention tool is to provide resource officers in schools, and he’s pre-filed a bill that would authorize funding from the state to pay for one in each public school. Two Democratic state lawmakers have pre-filed a bill that would require the development of a model ethnic studies curriculum for grades 7 through 12. Other states, such as California, have already started doing so. UPDATE, 9 p.m.: Adds comment from a media lawyer on whether students could be held liable for sharing bigoted content online. Corrects to remove inaccurate information about Washington's law on recording conversations. Schools are increasingly having to deal with the combustible mix that results from students having cellphones and using social media. That played out in dramatic fashion this week as Hamilton International Middle School in Seattle tried to address the fallout from a student's tweet that went viral and drew the attention of the right-wing conspiracy website, InfoWars. As the #MeToo movement continues to shed light on painful stories from women, the careers of the prominent men they accuse have taken a hit. For people in the arts, it's also changed how we view the works they've created, whether it’s comedy by Louis C.K. or movies by Harvey Weinstein. It's also put high school English teachers in a quandary. Kent School District's superintendent has faced public criticism for receiving thousands of dollars in stipends to participate in education-technology conferences. Now, the school board has voted against allowing him to take part in one in February. A growing body of research shows that teenagers benefit when they're allowed to sleep later. The latest study, from the University of Washington and the Salk Institute for Biological Studies, found that students at Roosevelt and Franklin high schools in Seattle got more sleep and better grades after the school district moved the high school start time almost an hour later. In recent years, Washington state has been attracting workers from other parts of the country to fill jobs in growing industries such as engineering and computer programming. But a scholarship created in 2011 aims to help young people from low- and middle-income families in the state land those jobs. Parents with kids at Licton Springs K-8, a small school in North Seattle that focuses on social justice and Native culture, got some assurance from Seattle Public Schools Superintendent Denise Juneau that the school won’t be displaced next year. Seattle's neighborhoods have become more racially mixed since 1990, but its schools have become more segregated, according to a recent study examining the 100 largest cities in the country. Washington’s charter school law emphasizes the need to serve at-risk students, including those who need special education or come from “economically disadvantaged” families. A new performance audit from the state examined how well the voter-approved schools are serving the needs of those students. It found mixed results. Washington lawmakers passed a "student loan bill of rights" earlier this year aimed at helping people with student-loan debt. The law created a new advocate position in the Washington Student Achievement Council, to receive complaints about student loans and help borrowers understand their rights. Washington state is funneling billions of dollars into K-12 public education over the next few years to satisfy a state Supreme court order in the McCleary school-funding lawsuit. But that influx of money raises questions about accountability for school district finances. Washington, unlike other states, does not require districts to employ internal auditors to monitor spending of public funds. Such oversight would be welcome in the Kent School District, where financial turmoil has many people reeling, even within the organization. 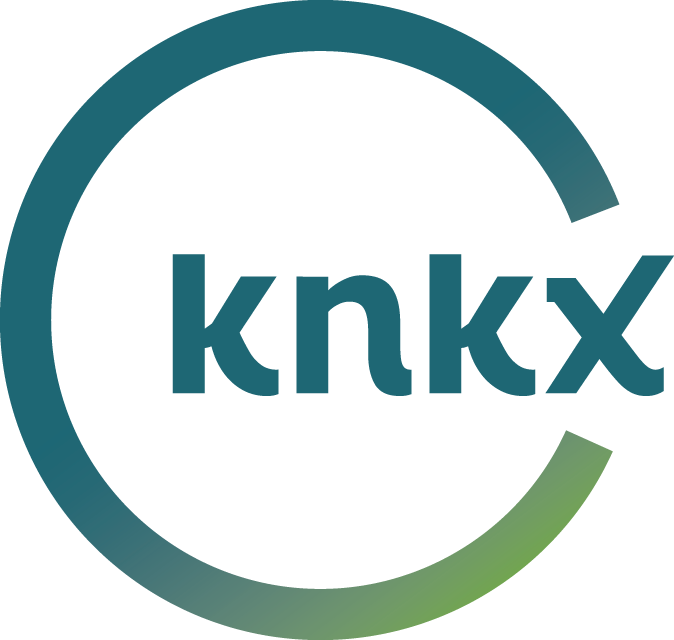 Ashley Gross, KNKX’s youth and education reporter, sat down with Morning Edition host Kirsten Kendrick to discuss her reporting on internal auditing in school districts, and the experts who champion the benefits of the additional accountability measure.